Intel aims to rebrand PCs at Computex. Your smartphone is probably the computer you rely on most throughout the day. But Intel thinks there's still a place for PCs. They've gone from being huge desktops to laptops, convenient all in ones, and convertible machines that can twist, turn and mimic tablets. At Computex next week, Intel's Client Computing head Gregory Bryant will lay out his vision of what's next with PCs -- and that starts with redefining what that term actually means. "What people need from a PC, what they expect is really more diverse than ever," Bryant said in an interview. "We're going to embark on a journey to transform the PC from a personal computer to a personal contribution platform... The platform where people focus and can do their most meaningful work." While that doesn't exactly roll off the tongue, Intel's new mission lines up with Microsoft's embrace of Windows as a productivity platform. Your smartphone is great for wasting time on Facebook and Snapchat, but it's not as convenient for typing out long documents, diving into spreadsheets or editing audio and video. When you want to get some actual work done, you inevitably turn to your PC. Given just how successful Microsoft's focus on productivity has been for Windows 10, it only makes sense that a close partner like Intel would dance to the same tune. Bryant says Intel will focus on five key areas to reframe its vision of PCs: Uncompromised performance (of course); improved connectivity with 5G on the horizon; a dramatic increase in battery life; developing more adaptable platforms that go beyond 2-in-1s and convertibles; and a push towards more intelligent machines with AI and machine learning integration. Admittedly, many of those points aren't exactly new for Intel, and they also fall in line with where the computing industry is going. Last year, Intel, Microsoft and Qualcomm also announced their Always Connected PC initiative, which aimed to delivery low-power computers with integrated mobile data. That didn't exactly take off, but it laid the groundwork for where the company is headed next. "We've focused a lot on anytime, anywhere computing," Bryant said. "Now it's not just where and how you work, but why you work and what you're working on. Millennials are now the largest part of the work force, and 56 percent say they won't work for a company if the values don't align with their own. They expect to have the latest technology, the latest capabilities." While he couldn't get into specifics, Bryant said we can expect an even more impressive chip announcement than last year's 18-core. That processor was a beast meant for "Mega Taskers," people who need to juggle things like media encoding, streaming, and playing games simultaneously. It's hard to conceive of who would need even more cores today. It's not surprising to hear Intel wants to focus on 5G this year, since we can expect carriers to start rolling out their next-generation networks in 2019. The company plans to show off several computers with 5G integrated, which will not only offer faster bandwidth, but significantly lower latency than 4G LTE. It's exactly what the "Always Connected" program needs to succeed. Bryant wouldn't say how, exactly, Intel would help improve battery life in future PCs, but he hinted that it involves working closely with some key partners. As for new form factors, we can expect to see convertibles and 2-in-1s get even thinner and more powerful over the next few years. But that also lays the groundwork for things we haven't even thought of yet. Imagine an all-in-one that goes a step beyond the Surface Studio's screen tilting, or a journal-sized PC with a foldable screen. Bryant isn't just expecting gimmicks -- instead, these designs will adapt to users in ways current computers can't. While every company is trying to shove "AI" into their product descriptions these days, Bryant aims to show off one way the technology could be implemented in a PC during his keynote: By playing imaginary drums. To be clear, he'll be relying on a computer equipped with Intel's Movidius Visual Processing Unite (VPU), which will track his hand and feet in real-time to accurately mimic playing a drum set. He's aiming for it to be a fun demonstration of what's possible with powerful computer vision technology. Given that Intel spent CES under the cloud of the Spectre and Meltdown CPU vulnerabilities, it makes sense for the company to highlight the possibilities of its technology at Computex. Bryant notes that security is still a major focus for Intel. Just a few weeks ago, the company, along with Microsoft and Google, announced a fourth Spectre vulnerability. That followed the expansion of the company's bug bounty problem to help find potential issues. "We're working with all of our partners, direct customers and the broader ecosystem for ongoing product assurance," he said. Rebranding is hard, especially if you're trying to sell the idea of a "personal contribution platform." But despite the clunky name, what's important is that Intel is actually thinking about what a "PC" actually is. 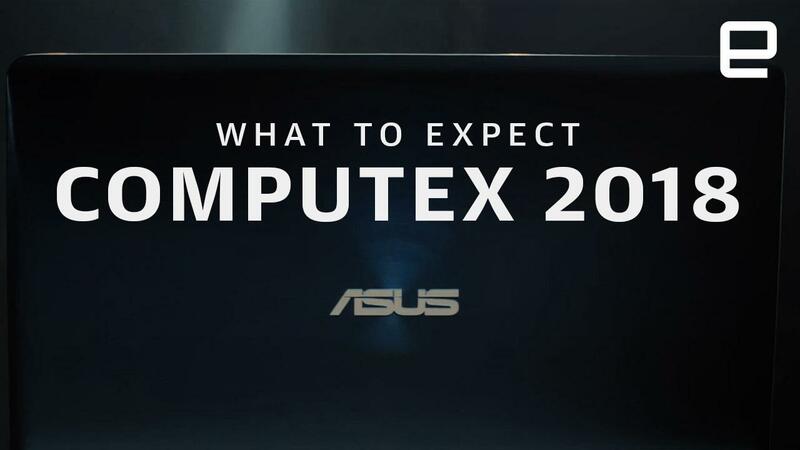 And looking ahead, it could be much more than just another thin laptop. Update: An earlier version of this article incorrectly referred to Intel's 18-core Threadripper. Threadripper is actually a product of AMD.